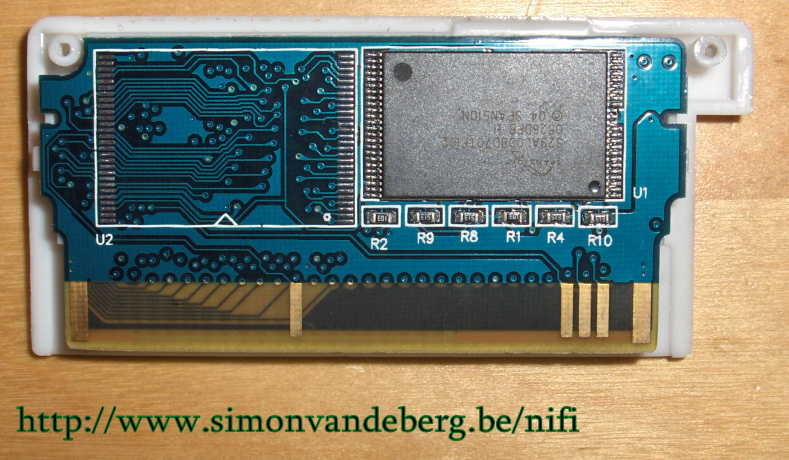 This is my review of the Ewin2 card, my sample was the Ewin2 MicroSD version. Special thanks go to BamBooGaming.com. I received the sample without the box (standard shipping policy from BamBooGaming.com) which I didn't really mind. This does cut back the costs of shipping as the box doesn't fit in an envelope. What I was most interested in, was what this card could do. 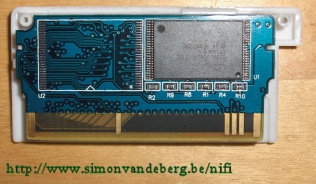 The Ewin2 series is composed out of three cards. The Ewin2 SD, miniSD and microSD, obviously the SD version uses SD cards, miniSD version miniSD cards and the microSD version uses microSD cards. 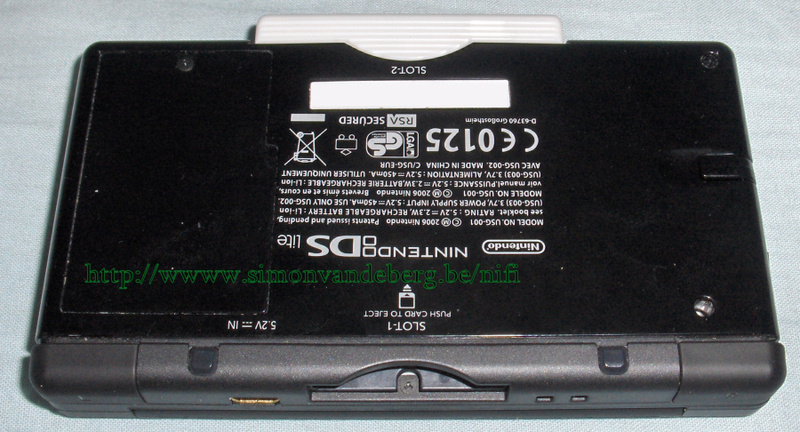 What made me go for the DSlite version was the fact that other then normal DSlite cards it sticked out of the GBA slot. One could argue that this doesn't look or feel good, so I figured I put it up to the test. It has only recently be released and is not very well known, but with a price tag of about 25 euros this could be quite a nice card. My review will obviously not include boxart, though looking at several pictures_Ewin2 the box seems like a pretty standard, and thus normal quality product. I can only talk about the looks of the Ewin2 itself. 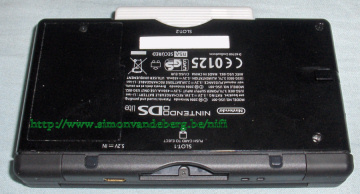 When you look at the looks of the Ewin2 microSD the first thing you notice is the fact that it sticks out, other then normal DS lite cards. This could have been done either because of room shortidge or it was a well thought over choice. At any case, personally I think it looks rather well. 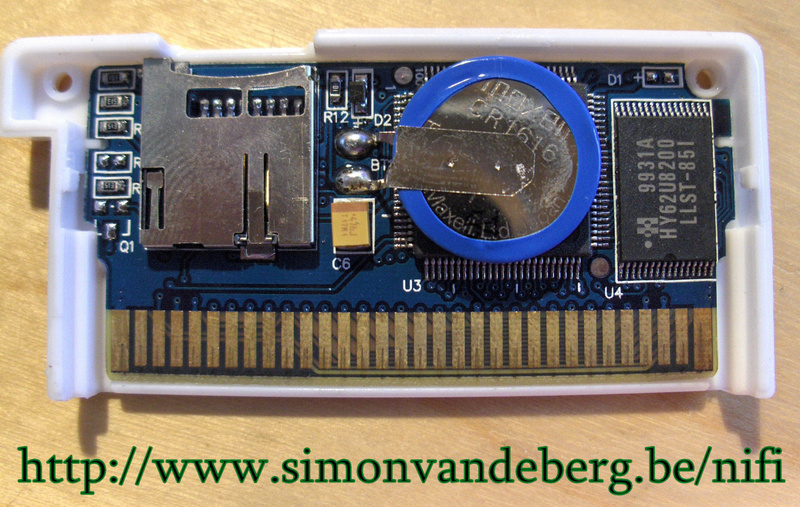 It doesn't stick out very much out of your DSlite, and doesn't hinder the playing experience. To be honest I don't really care whether it sticks out so little or fits flush in the DSlite when it comes to looks. What I also found stylish (and also useful, I will come to that later) is the fact that they put grip marks on the back of the card. Overall I like the looks of the Ewin2, although I miss a logo/sticker (as this defines the product). 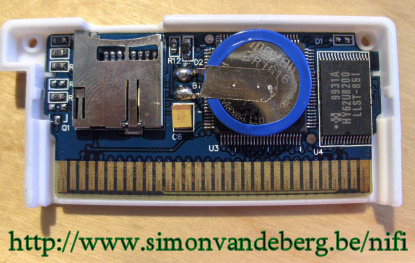 What also appeals is the fact that the Ewin2 lite is painted so it has the same gleam as a Nintendo DS lite. Sadly I have a black DS lite and my Ewin2 sample is white. A big hardware feature are the grip marks on the back of the card. I found them to be pretty useful. Although when your hands and the card are a bit greasy, the effects of the marks are pretty much nill, when it is clean this really helps take out the Ewin2. Where I had a little bit of trouble when taking out my G6lite (and have heard a lot of people having serious trouble taking out their SC-lite), I have not had any trouble with the Ewin2. Another feature is the microSD slot. Though one wouldn't normally count this as a feature, because of the continued schrinking in memory card sizes, I've noticed that inserting your microSD card can be quite hard with some hardware. With the Ewin2 this is quite easy, and the microSD card stays in the slot quite nicely. You won't have to worry about it falling out, even if it is a frontloading device. Taking the microSD card back out again is also fairly easy. The Build quality of the card is also very nice. 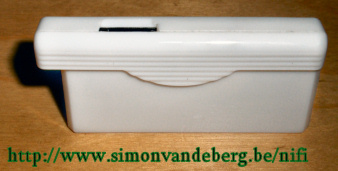 The card is made out of thick and sturdy plastic and the design of the card makes it quite tough. Getting my Ewin2 to boot was quite a pain. As the normal NoPass devices do not work (MK4-mini, and early Max-Media-Launchers do work), I had to use the PassKey2 that I won in the SCdev.org competition and received today. So when you buy this product, be sure to buy a NoPass (or PassMe1) that will work with the Ewin2! 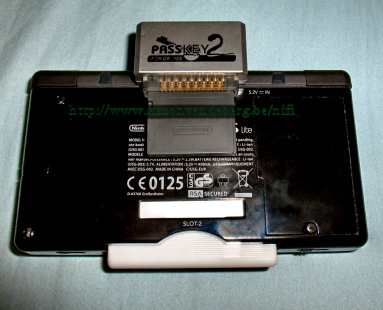 Normally you wouldn't be able to use a PassMe2 as it requires a specific bit of SRAM data to be written on the GBA media (adapter). 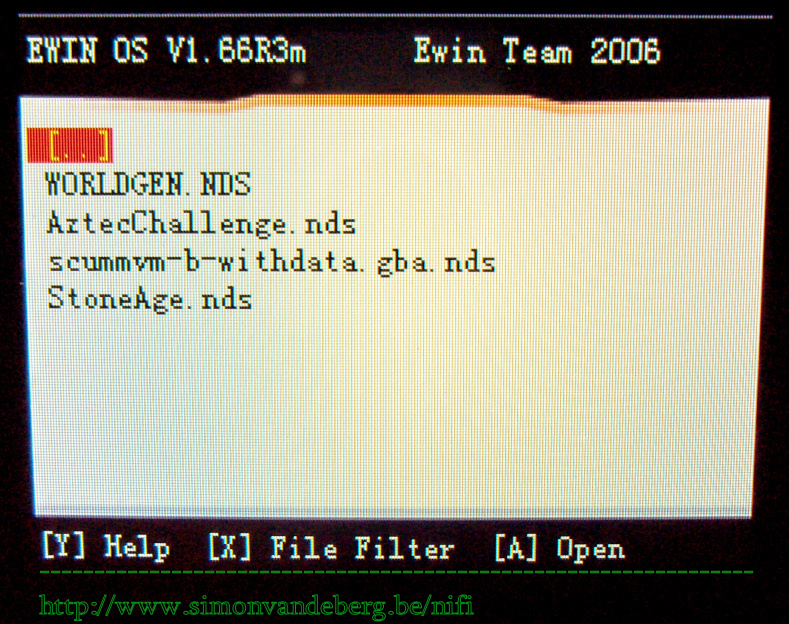 Seeing as the Ewin2 only boots in NDS mode, it can't write the SRAM on it's own. Fortunatly I also have other hardware, with which I wrote the SRAM data to the Ewin2 (using pepsiman's passme2button.gba). Now every time I want to boot the Ewin2 I need to write the SRAM to it and then boot it. This does however also mean I cannot test the save function of this device (as the saves are written to SRAM). 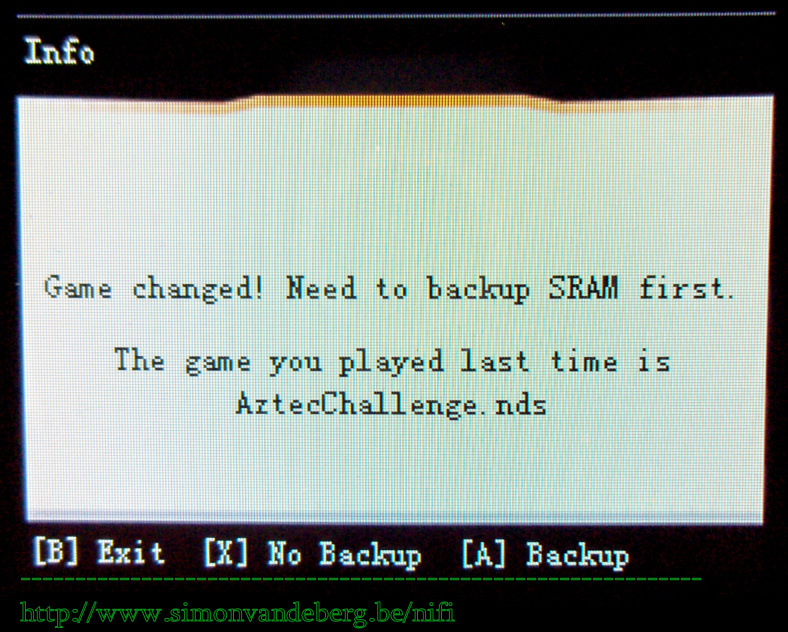 A tip for the developers of the Ewin2, try to make the games save to a file on the microSD card instead of to SRAM. That way the PassMe2 SRAM data stays intact even when a game saves. The Ewin2 menu has a (I feel) few flaws. For one when using the file filter, there are different settings for it. You can switch these by pressing X, no problem right? Correct but it is not shown what setting you have choosen. This makes it very chaotic. These are also things I suggest the developers look at, possibly add a bit of text showing what mode you are in? Generally the Ewin2 works fairly good. The menu works pretty nice and is also quite slylish. I really like the function to delete files from the microSD. What is also nice is that you can see the time and the date on the lower screen, it's not incredably useful but it's nicer then just showing a picture. Not all games I tried worked and I experienced some slowdowns (mainly in the standard slow-down games). 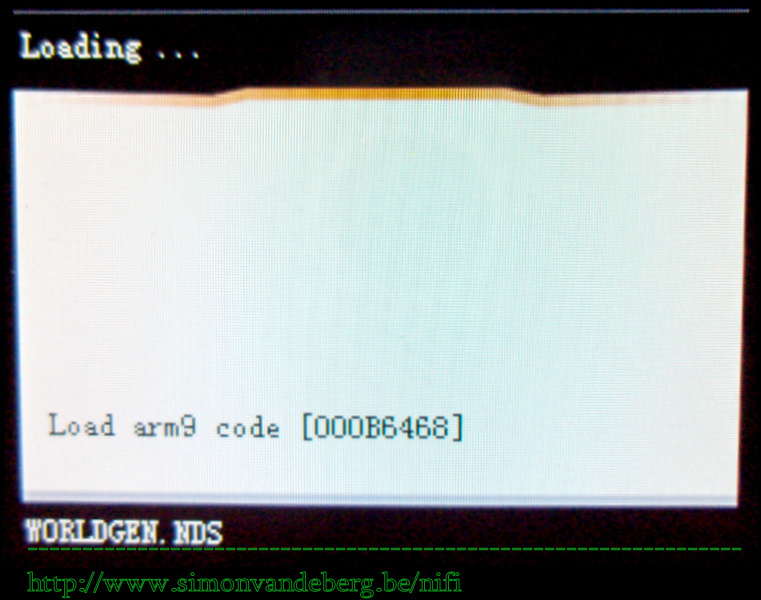 When running homebrew the Ewin2 understands .nds homebrew and SRAM homebrew, although it doesn't seem to work fully. All .nds/SRAM homebrew I tried booted, but there was no sound. When using my Ewin2 microSD I never noticed it was in there, the fact that it sticks out a bit didn't bother me a bit. 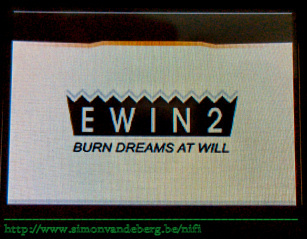 The Ewin2 software is quite strait forward. You take the .nds file you want on your card and run it through the patcher (homebrew can also be run through though that will probably not do anything if not destroy it). Where it says normal you can choose the skin, for those who like a change now and again :). You can set the output path, as you can see I set my output to my microSD card to avoid copying and etc..
Once the conversion is done you get notified of that fact and you can (if you did as I and set the outpath to the card) remove your microSD card. 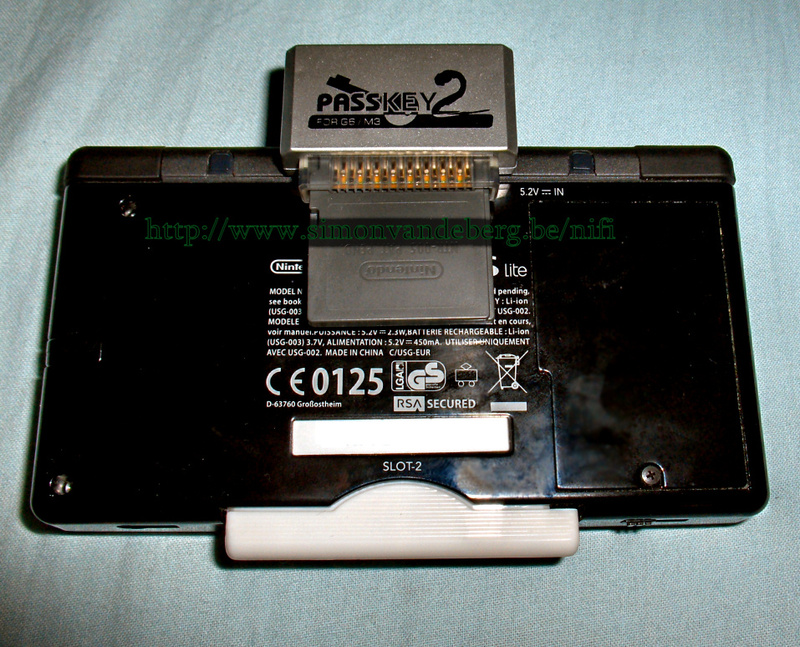 Then you insert it into your Ewin2, and you insert your Ewin2 into your DS. You must now boot your Ewin2 and DS. Now as I said earlier, this might be tricky as not many devices boot the Ewin2. I'm counting on you only having the Ewin2 and either a PassMe1 or the Ewin team's own NoPass, the PassWe. When you boot the Ewin2 you get greeted by the Ewin menu. Here you choose the .nds file you want to start and press A. 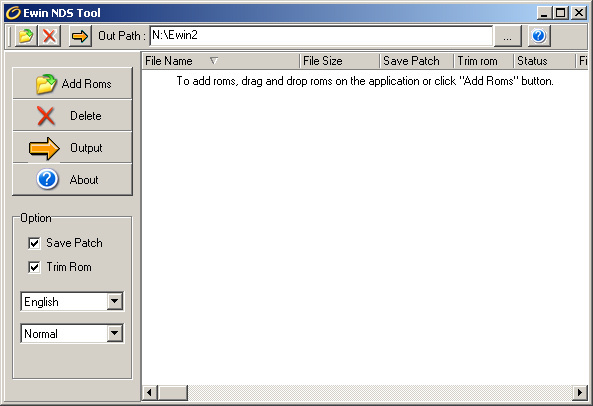 If you have previously run a game, and are now going to run another game using the Ewin2 it will ask you if you want to backup the SRAM to file. This to preserve your save file of the other game you played. As I stated earlier, this makes it impossible to save if you are using a PassMe2 (which you can't use unless you have another GBA media device). Conclusion: The Ewin2 (lite) has only recently been released and is not fully mature yet. The general thought is good and all problems I found can be fixed via software or firmware updates. For example when I received my sampe it was flashed with firmware version 1.5 which could not open sub-directories, so I updated to 1.66R3m and the problem disappeared. 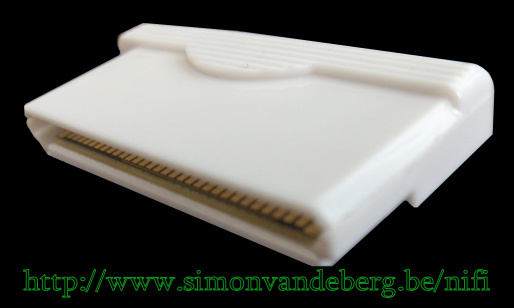 If developement keeps up this could defenetly become a big contender in the GBA media adapter world. At the moment there is no English languaged webpage for the Ewin2. I was able to create an account at the Chinese support page after a few tries, and via Google translate find software and firmware updates, but that is something you normally do not want to have to do. I've contacted the Ewin2 developers and they have told me that they are working on an English support page. All in all I think this is quite a nice product. When looking for a cheap solution that takes SD/miniSD/microSD cards this could be the product for you, but bare in mind that right now (16th of august) it still isn't quite mature yet. Though I believe that this will change quite soon, and that the developement is going quite good. One thing I would like the developers to look into, is getting homebrew to run correctly and possibly also add FAT homebrew support. Getting a working modified version of the FAT lib (or a patcher for FAT homebrew) would be a really great developement. Once homebrew is fully supported this will be a very nice, low-budget product. You might want to keep a picture of the casing close by when doing this, it makes it far easier to do. -Put another fingernail in between the top and bottom sections at the outer side also on the winged side. -Push the top section down on the winged side now. Note: This review only applies to the current released product, software and firmware. When updates have been made these are not included in this review. I hope you all enjoyed my review and found it useful.